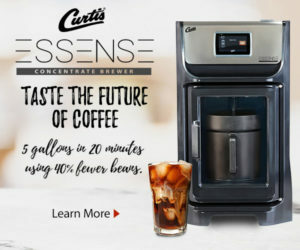 A September 2014 Guardian article called “Coffee: how cold-brew became the hot new thing,” implied that the practice of creating a concentrated coffee through steeping grinds in cold water for extended periods of time originated with the Dutch as far back as the 1600s, as a means of transporting prepared coffee to be heated and sipped later. 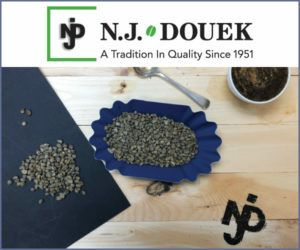 It seems just as likely that the Dutch were using heat to reduce their standard brew down to what was called “coffee essence” for transport, although the article also explains how the Dutch coffee-concentrate idea spread to Japan during that era. As the Japanese were indeed cold-brewing tea at that time, it stands to reason that they might also have been among the first to cold-brew coffee. 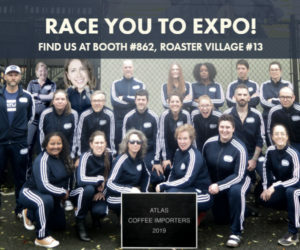 Other cold-brew genesis theories point towards Latin America, either Peru or Guatemala, or Java, although these are equally difficult to substantiate. 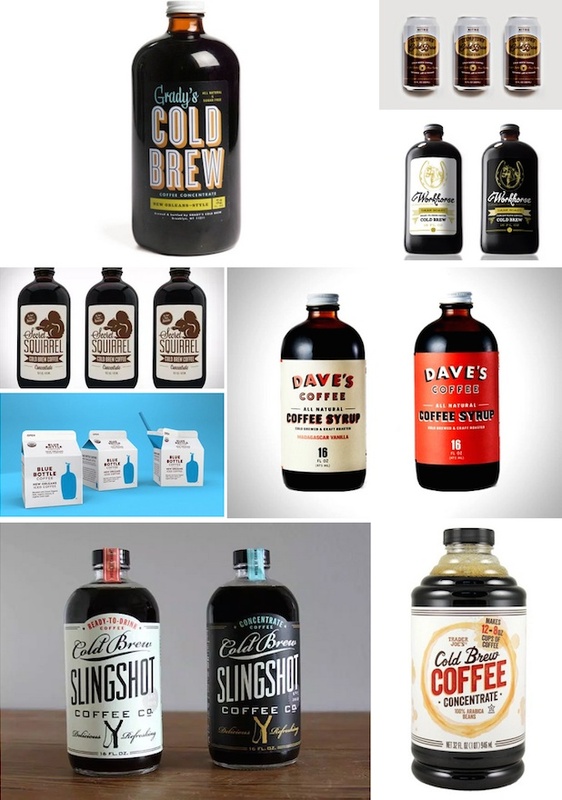 In a larger sense, one could link the origin of cold brew as an evolution of the general practice of creating a coffee concentrate, which is what cold-brewing process produces. Some of the earliest documented coffee concentrates — documented is the key word here — are known to have originated as military rations. The Americans, the French, the Scotts and the Brits — whose commercial product, Camp Coffee, stems from the practice — are all known to have simmered down a coffee concentrate for soldiers to reconstitute in the field. The book Civil War Recipes: Receipts from the Pages of Godey’s Lady’s Book, which compiles recipes from the popular 19th-century women’s magazine, provides a good example of a recipe for “coffee syrup,” a sugary concentrate the consistency of treacle. It was the French, though, who provided the earliest example of a coffee concentrate served cold, in a manner akin to our iced coffee today. This was the original Mazagran, a beverage consisting of coffee concentrate sweetened and mixed with cold water, ostensibly first enjoyed by French Foreign Legion solders at the Mazagran fortress in Algiers. The fortress came under French control in 1837 with the Treaty of Tafna. 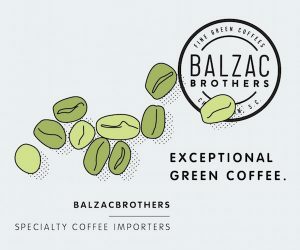 Subsequent versions of the Mazagran sprouted internationally once those soldiers returned to France and introduced the concept to French cafes, according to William H. Ukers’ definitive 1922 coffee tome, All About Coffee. 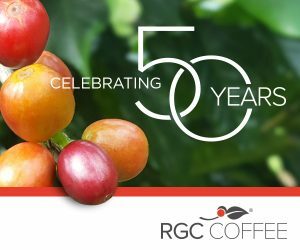 Interestingly, it was not long after the first edition of Ukers’ coffee history was published that a major stride was made in the direction of bottled retail coffee products. 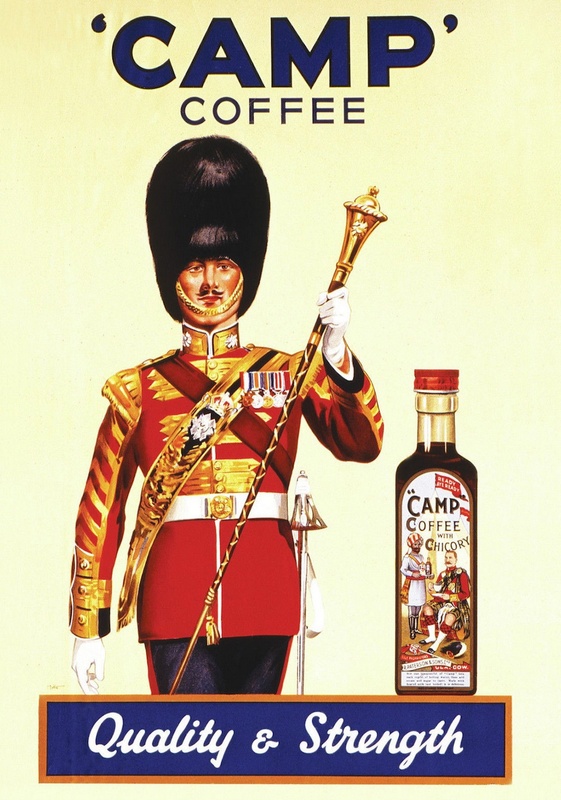 That was the mid-20th-century British success of Camp Coffee — with its own roots dating back to the late 19th century — which made its chicory-flavored crossover from military to commercial enjoyment with ads that boasted, “There’s no comparison for economy, flavor, and quickness.” Syrupy concentrates like Camp Coffee can be stored without refrigeration and without a vacuum seal for long enough to be viable as products prior to the widespread advent of those technologies. Many more years would have to pass, however, between early coffee syrups and an actual shelf-stable ready-to-drink brewed coffee. The breakthrough would happen in Japan, in the late 1960s. Canned flavored milk was a popular item in Japan in the late 1960s, including coffee-flavored milk. When the enterprising businessman Ueshima Tadao had the idea of flipping the ingredient ratio into a can of mostly coffee with just a bit of milk and sugar, cold-coffee history was made. Ueshima Coffee Co., Ltd. invested heavily in advertising and product giveaways to overcome the consuming public’s resistance to the idea until finally in the 1970s, UCC Coffee with Milk caught on. Shortly thereafter, Italian coffee giant illycaffè tackled the taboo of packaging pure, straight, RTD (ready-to-drink) coffee in a can with no milk or sugar, which gained for the industry another important step along the evolution of social attitudes towards packaged versions of a beverage traditionally made fresh, by hand, in the daily routine. 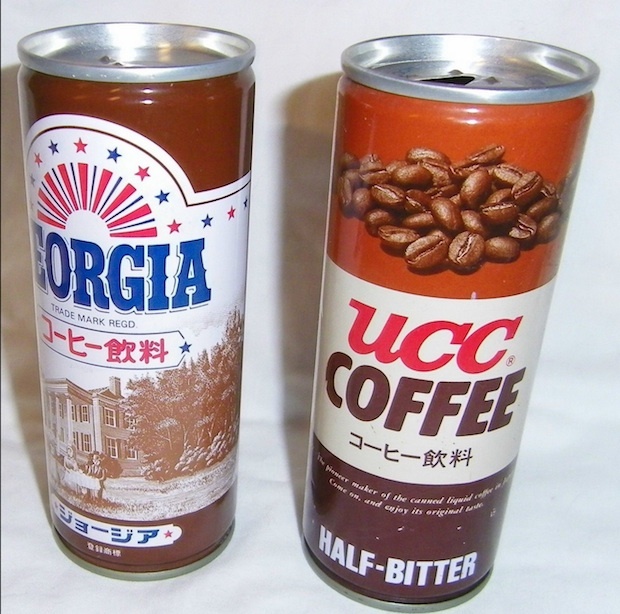 Vintage UCC coffee can pictured next to a bottled “Georgia” coffee drink, made by Coca-Cola for the Japan market. 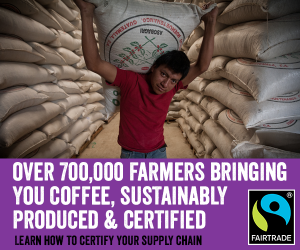 It was also in the late ’60s that a garden nursery owner with a degree in chemical engineering was served a delicious coffee concentrate while on a plant-gathering trip to Guatemala. That chemist’s name was Todd Simpson, and soon after was born the Toddy cold-brew coffee system — another brilliant business born in a stateside home garage. 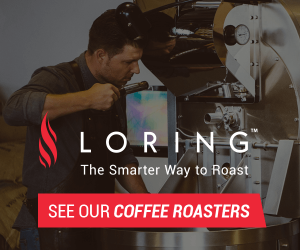 Though originally conceived as a concentrate to mix with hot water as a low-acidity alternative to hot-brewed coffee for people with sensitive stomachs, the Toddy brew concept — and the accompanying brewing system — has endured to be embraced by today’s coffee industry as an outstanding cold-brew method. 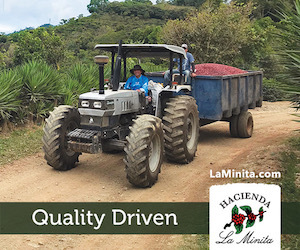 Naturally smooth, sweet, and cold from its very beginning, this also tends to be the style of brew that translates most readily to a bottled RTD product. 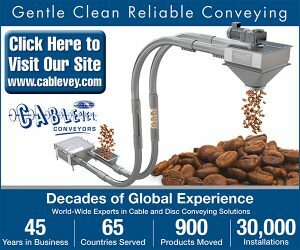 In the intervening decades, with the proliferation of coffee-focused chains such as Starbucks and Dunkin Donuts, the many convenient drive-thru and fast-food-style options satisfied consumer demand to the point that there wasn’t much need for a grocery-type RTD coffee product. Instant, pre-ground, capsulized, whole-bean and Keurig-oriented options endured on shelves for consumers to brew at home, but ready-to-drink coffee beverages were the sole domain of cafes. 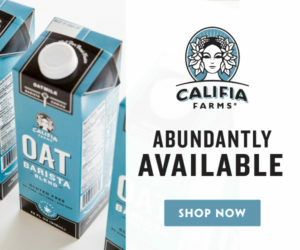 Yet with improved quality, improved technology, and new routes of access by smaller, localized operations, a cold-brewed, shelf-born renaissance is afoot. 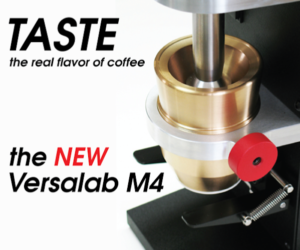 While the merits of cold-brewing — as opposed to hot-brewed coffee that is quickly chilled — remain a subject of some debate among the top brass of professional coffee preparation today, the variety of accepted methods and tastes in an ever-widening coffee industry has allowed products of all kinds to proliferate. 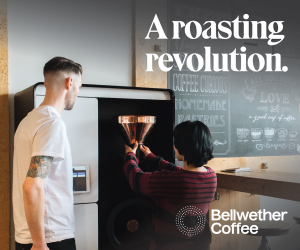 From Guinness-style cans pressurized with nitrogen gas to upscale jars of lightly-hued extractions coaxed by sound waves, the spectrum of cold-brew products is indeed wider and more creative than ever. With so many clever packages and variations on the theme, it’s understandable that consumers and some sensation-seeking media outlets would find cause for surprise and delight. But to imagine that the cold-brew wave comes out of nowhere is an ultimately short-sighted perspective. 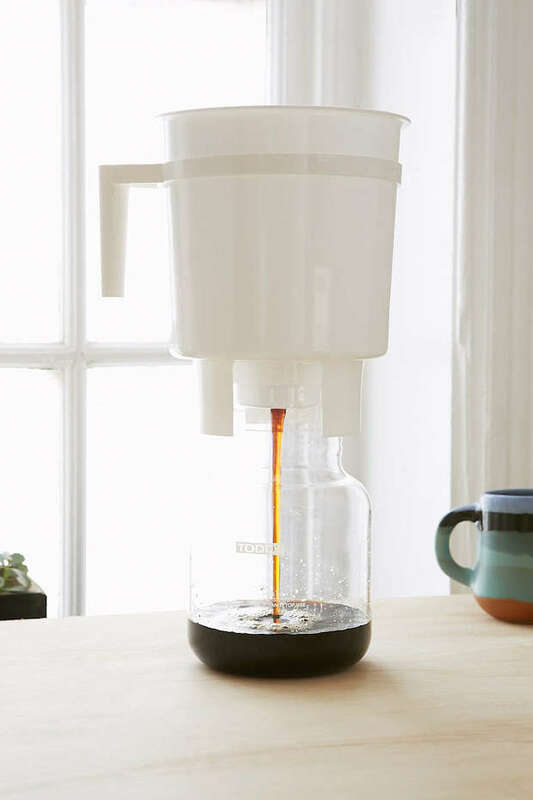 As milestones in the evolution of cold-brew can be charted from Japan to Latin America to Europe to the States, it’s far more enjoyable to embrace the cold-brew craze as a phenomenon that comes from everywhere. 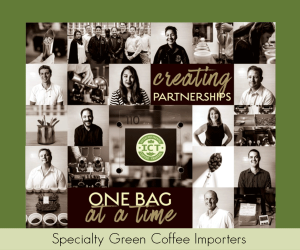 From cafes to roasting, brewing competitions and green sourcing, Clark Le Compte has participated in a number of roles within the coffee industry for nearly a decade. He lives in Williamsburg, Brooklyn. How dare you snub Rhode Island!! Coffee syrup is practically a food staple, and has been since your great-great-great grandpa wore a big beard because it was fashionable, and not just hipster! Where is the love for Autocrat and Eclipse?!? 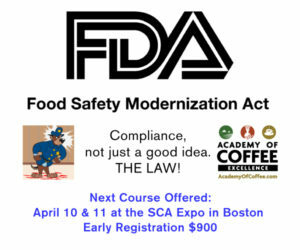 Rhode Island…we may be small, but we are mighty in coffee syrup! Love Autocrat great for coffee ice cream……. and Victoria House in the East Bay. Nice historical piece…I don’t get the ‘cold brew’ thing, doesn’t have the flavor of hot brewed then chilled with a good brewer IMO, but that’s what makes the world go round. 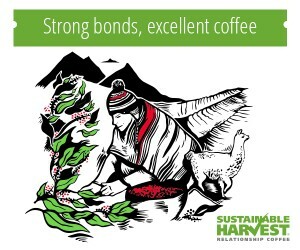 In the early 1800s, my Guatemalan great-grandmother planted coffee on a piece of land next to where Germans were planting coffee. As of the first crop, she was crudely processing it and roasting it on a comal on top of the wood-burning stove. She then stone ground it, put it in a flour sack, sock-shaped bag and dripped cold water through for several hours. 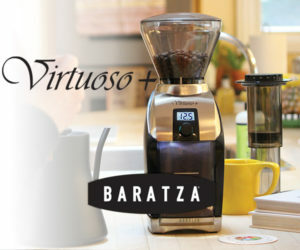 I grew up with my grandmother doing the same thing, but, with a crude hand grinder. She then ice boxed/refrigerated it and served it with hot milk, hot water or a little of both. It was called “Esencia”. Today, Jones Coffee Roasters in Pasadena is selling growlers of “Esencia”. But, not as a new thing, but, as a tradition from Finca Dos Marias, the farm of the two Marias, my great-grandmother and my grandmother.